New and innovative products can be found alongside classic favorites. "There is such an eclectic array of products, you can browse for hours." L.G. 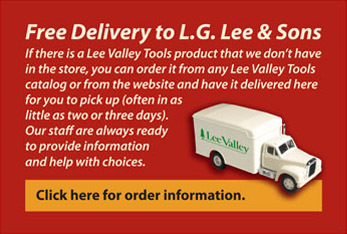 Lee & Sons is a division of Lee Valley Tools but, despite its pedigree and appearance, it's not a traditional hardware store. It's an eclectic little shop where you will see new and unique items that aren't found in other places and with a selection of inventory that is frequently changed to suit the seasons; there is always something different to discover. 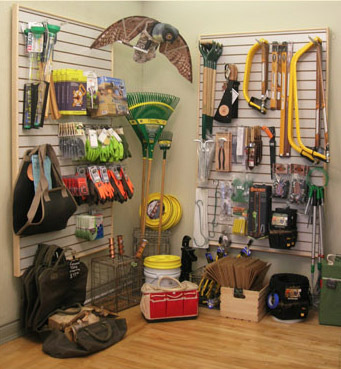 We select products so that every time you visit the store you'll find a wide range of useful items for the home, garden and workshop. If you like to tinker in the workshop or (like us) are addicted to useful tools and ingenious gadgets and gear, the shelves are chock-full of choices that meet our standards of quality and function. There are toys, puzzles and models for children and a selection of Algrove Publishing books. There are traditional products that serve a range of activities and pastimes from hiking and camping to cooking and baking, but don’t be surprised to discover the unexpected in the mix. For example, you might find specially engineered umbrellas (designed to withstand high winds) or Danish dough whisks. You might see classic Portuguese ceramic mixing bowls adjacent to Canadian-designed hatchets, or Swiss precision folding rulers opposite a display of French-style rolling pins made of Canadian sugar maple. What is traditional about L.G. 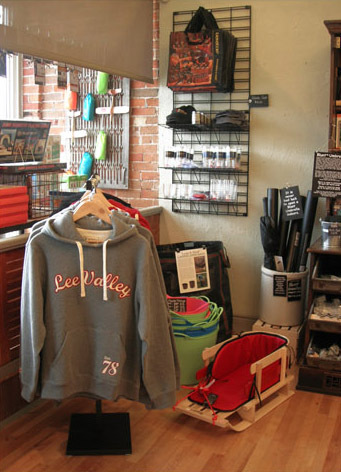 Lee & Sons is the vintage interior and the relaxed, personal atmosphere that makes browsing interesting and fun. We want people to be glad they came in, whether they buy anything or not. Inventory is frequently changed to suit the seasons. There is a tested tool for just about every job and staff can help you to select the best one for the task at hand. L.G. 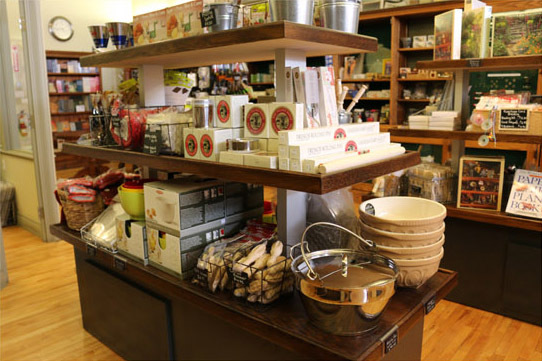 Lee & Sons not only carries tools for the garden shed and work bench, there is also a full range of kitchen tools that will tempt anyone who loves to cook, preserve or bake.